To millions of hunters and shooters all over the world, Winchester® White Box means quality and performance. It's among the most trusted brands in all of shooting, and for good reason. 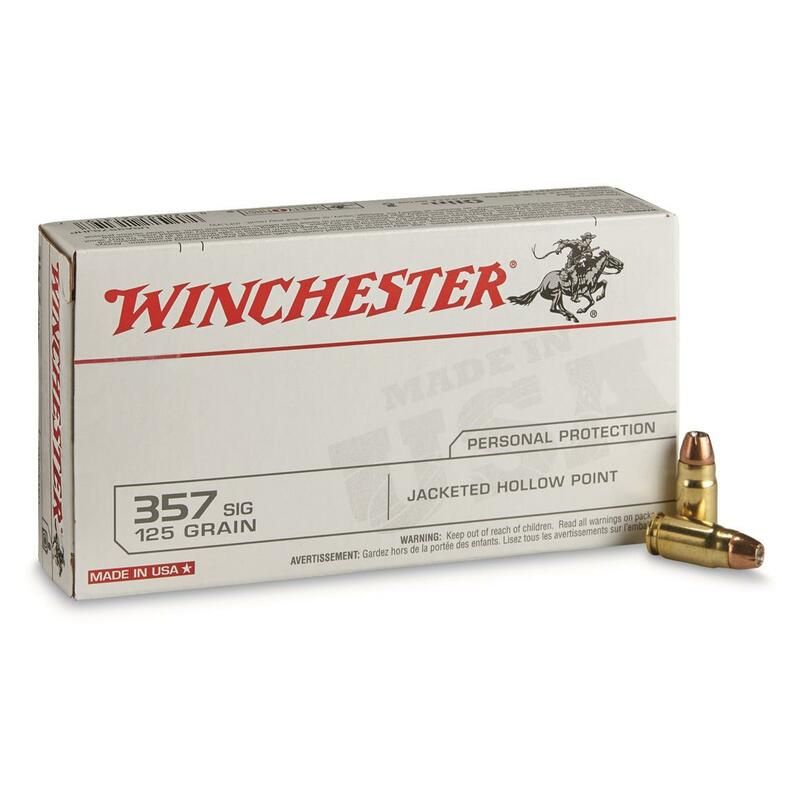 These rounds use lead and heavy-metal free primers and fully enclosed bullets to eliminate airborne lead. Winchester White Box, .357 SIG, JHP, 125 Grain, 50 Rounds is rated 4.8 out of 5 by 20. Ammo that achieves high performance.